From 2014 onwards we have worked closely with The Oak Tree Inn, Balmaha, Loch Lomond developing their marketing and helping to create new products. We developed 'The Balmaha Experience’ to market Balmaha as a destination. Quite rightly and proudly The Oak Tree is marketed as ‘Loch Lomond’s Ultimate Destination’, bringing together outstanding natural beauty, with the high class facilities provided by The Oak Tree Inn. This free guide showcases these qualities and is a useful guide to the people that visit the village. Here are two videos that we have produced for The Oak Tree Inn. The first is to promote Balmaha’s Braw Weekend, a festival staged in 2015 & 2016, as well as general video to introduce recent changes to the destination. We provide Business Strategy & Marketing Support each week for the business, projects have included the introduction of a brand new set of logos, relaunching the company website, successful funding applications, the launch of new products, social media updates, photography, marketing and advertising strategies and much more. 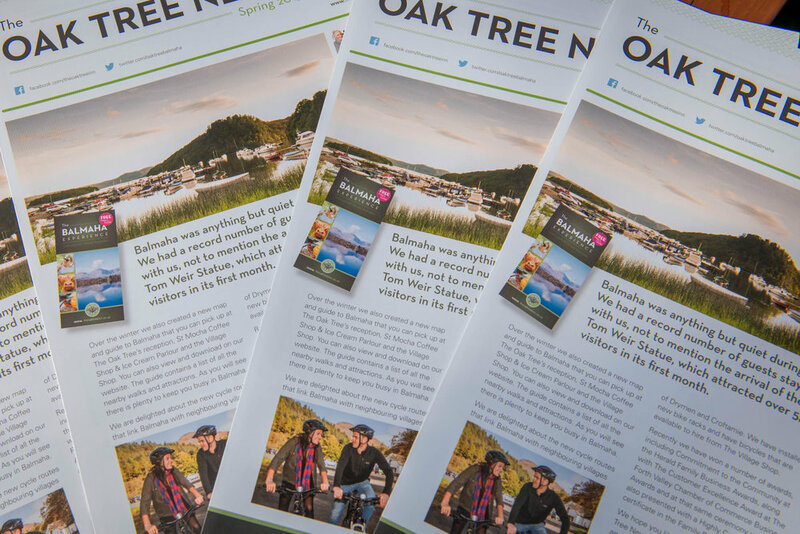 Each year we produce The Oak Tree News, this free, printed publication is very popular with visitors to Balmaha, who are interested in finding out more about the developments to the business and village. The Oak Tree Inn are deservedly renowned for the high quality of Scottish food and drink that they serve. Here are some photographs to showcase this. Food provenance is incredibly important to people on holiday. We produced the posters below that demonstrate the excellent provenance that The Oak Tree has, producing many items themselves, with others sourced locally and throughout Scotland. The Oak Tree was the first business in Loch Lomond to produce its own ice cream. 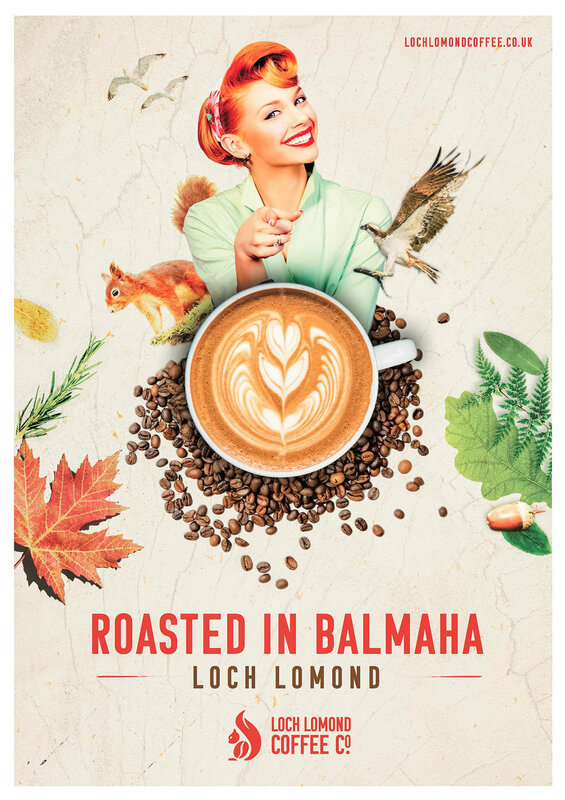 This was followed by the introduction of Loch Lomond Coffee Co. the first coffee roasting facility in Loch Lomond. We were pleased to work on the successful funding application that contributed to its funding, as well as the launch of the new brand. 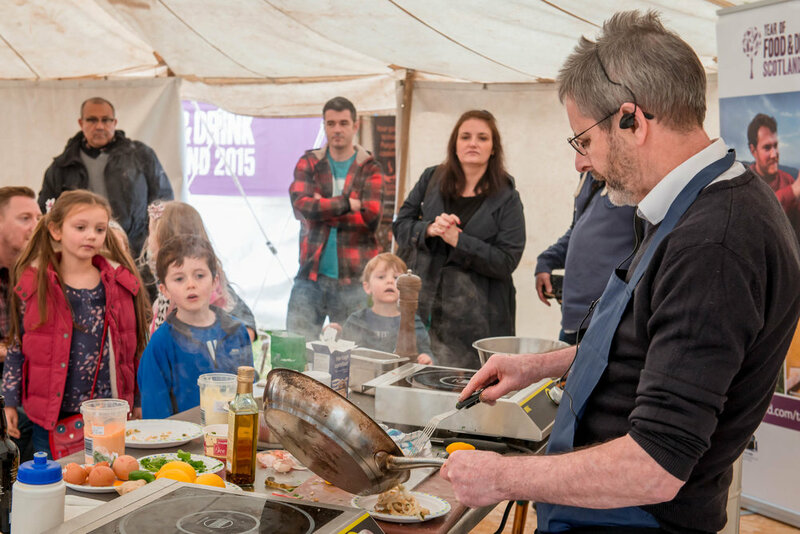 Balmaha's Braw Weekend was a festival of food, drink and live music, on the banks of Loch Lomond in October 2015 and October 2016. We helped The Oak Tree team to plan, promote and Event Manage both of these very successful festivals. We also helped the business to create a new gift brand for The Oak Tree Inn, called A Gift from Loch Lomond. This included the creation of an e-commerce website to retail gifts and experiences about Loch Lomond. Here are two videos produced to promote A Gift from Loch Lomond. Here are more examples of our photography and projects for The Oak Tree Inn, Balmaha, Loch Lomond. We also worked with The Oak Tree on funding applications to contribute towards the introduction of a new pontoon in Balmaha. This has allowed increased water bus services and cruises.